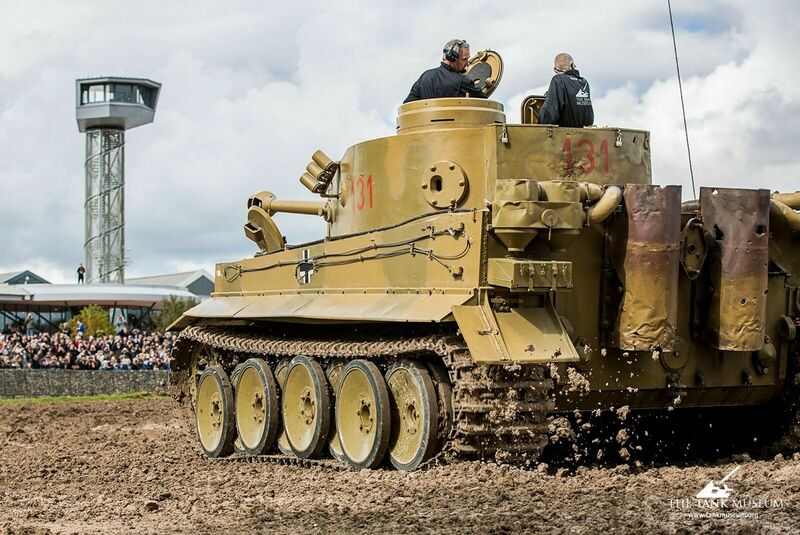 Joe Ekins remains one of the most famous WWII British tank gunners for taking down three Tiger tanks with five shots, including that of Nazi panzer ace Michael Wittman. 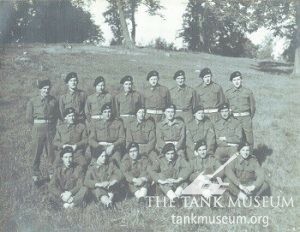 With The Tiger Collection opening in April, it is vital not to forget the stories of tank crews on both sides of the conflict. Although Ekins described volunteering for the army as “the biggest mistake of my life”, his skill, courage and luck in combat marked his place in history. On 8 August 1944, as part of an Allied offensive to break through the German defences south of Caen, A squadron of the 1st Northamptonshire Yeomanry positioned themselves just south of the French town of St. Aignan de Cramesnil. 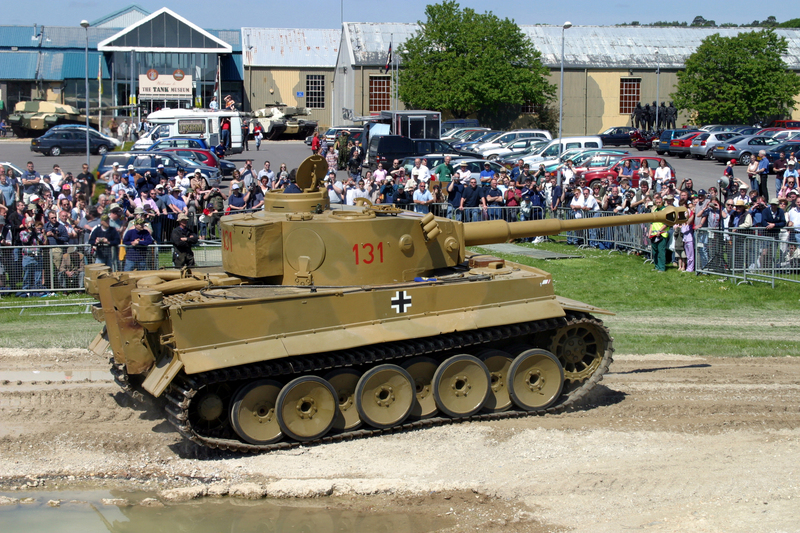 For Allied tank crews the sight of three Tiger tanks was not a welcome one. 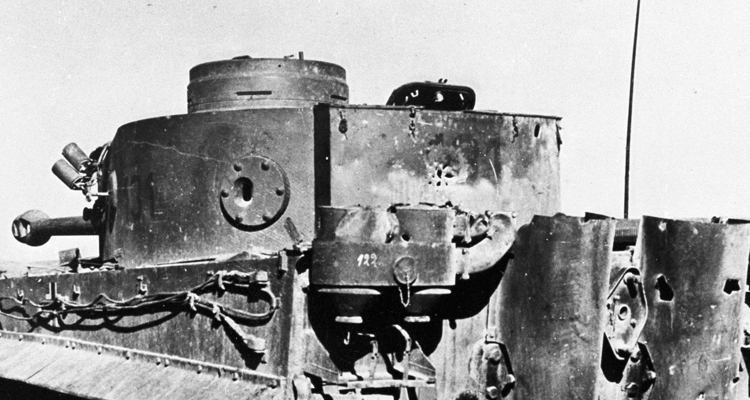 Their reputation for having unmatchable strength – a deadly 88mm gun and almost impenetrable 120mm thick armour – preceded them so much so Allied crews believed it would take five Shermans to bring down just one. Firing two shots, Joe hit the rearmost Tiger setting it alight. “At 800 yards the things were only tiny but I could see the gun of the second Tiger coming round to fire at us,” he recalls. 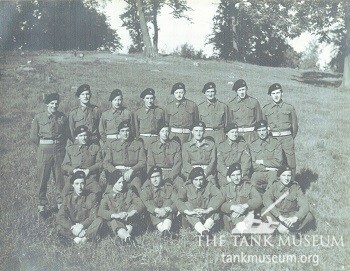 3rd troop, A Squadron, 1st Northamptonshire Yeomanry in Normandy during short rest. Joe Ekins 3rd left, front row. It was at this point Joe realised his Sherman Firefly would be on its own against the two remaining Tigers, the ordinary Shermans that were positioned alongside Joe were no good at this kind of range and the squadron’s two other Fireflies were elsewhere nearby. To this day Joe doesn’t know why his commanding officer didn’t re-deploy them to face the threat he was now facing alone. 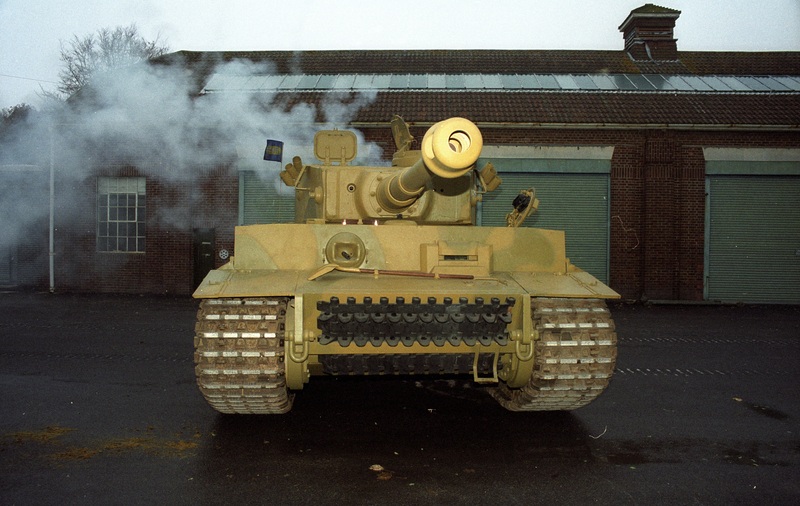 The second Tiger fired two rounds and hit the turret of Joe’s tank injuring the commander and causing him to jump out. With the troop officer taking command, the tank pulled out from the orchard again and Joe was ordered to fire at the second Tiger. This time one shot was enough to turn the enemy tank into a ball of smoke and flames on the horizon. Amazingly the five rounds Joe fired on this day were the first he had ever fired in combat. He had successfully destroyed three of Germany’s most deadly machines and all at a range that made them look like miniatures. You might assume such accuracy came from extensive and rigorous training. Not so. The Fireflies had only been ready six weeks before the squadron was deployed and the number of times Joe took it out on the firing range: once! “I suppose I must some have some natural ability,” Joe smirked. And who can argue? On a visit to The Tank Museum in 2000 Joe was given the opportunity to fire the gun of a Challenger 2 – the tank the British Army uses today. Not surprisingly the then 78-year-old hit the target first time and became the oldest gunner of a Challenger 2. 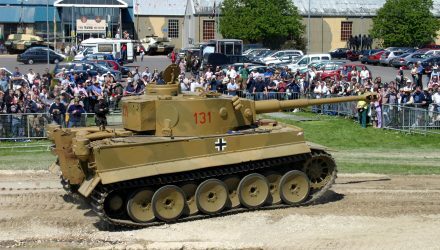 Incredibly, what makes Joe’s Tiger assault even more remarkable is with one of his hits he had unknowingly killed German gunner Michael Wittmann, a member of the SS and claimed to be one of the Nazi’s most prolific commanders with 140 tank kills to his name. Wittmann had shot to fame in Nazi propaganda for his role in resisting the Allied offensive at the Battle of Villers-Bocage. 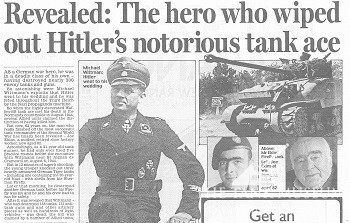 What’s incredible is the contrasting legacies of Wittmann, a well-documented Nazi, SS career soldier and close friend of Hitler’s (the Führer attended his wedding) and the quiet, humble and relatively uncelebrated man opposite who had brought about his downfall in such extraordinary fashion as a voluntary member of Britain’s wartime citizen army. The same day as destroying the three Tiger Tanks, Joe’s Firefly went on to disable a fourth German tank before being hit and immobilised itself leaving Joe to be reassigned to a new Sherman tank crew as – much to his disbelief having demonstrated his natural ability for tank gunnery – a wireless operator, meaning Joe would never have to fire in combat again. Joe remained with this crew for the rest of the war. Remarkably, this crew remained together for the rest of the war without being knocked out. 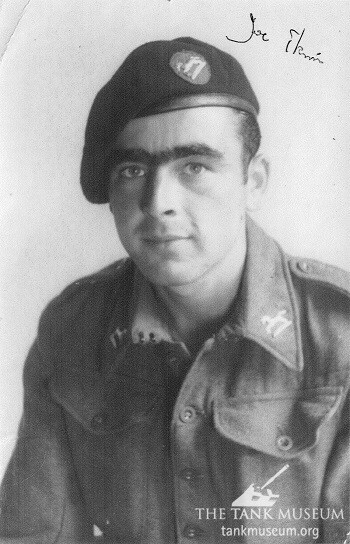 After 1945 Joe went to work in the shoe factory he left before the war and married the woman he’d fallen in love with whilst training with his regiment in Gloucester. Putting himself through night school he became manager within four years of returning and spent the rest of his working life there. 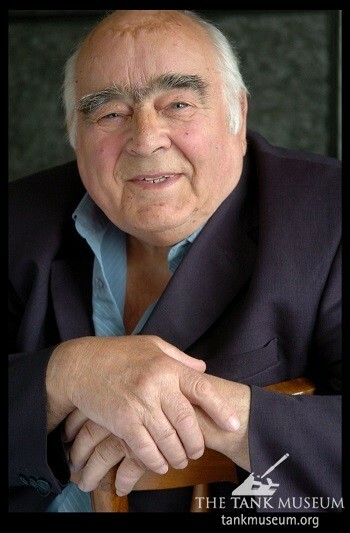 He passed away in 2012 at the age of 88 with two grandchildren. The quotations used within this article were taken from interviews he gave while visiting The Tank Museum on several occasions. Here more from Ekins and other veterans at The Tiger Collection. Unfortunately this story is perpetuated even after it has been proved that it was not Joe who got Michael Wittman. 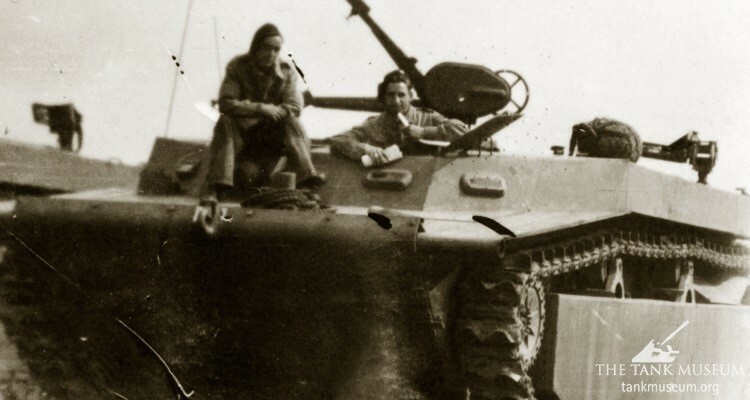 The Canadians were nearer and shot him in the left side, the opposite of where Joe’s tank was. It doesn’t take away the fact that he did hit 3 of the 4 Tigers moving to his front but not Wittman whos tank was in dead ground to him but not the Sherbrooke Fusiliers. complimented the former officer that he was a hero. 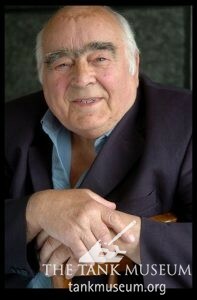 No he was not the hero and he pointed to a small thin man in his late sixties. The man looked disheveled and his glasses were crooked, he was getting on the bus. He kind of reminded of my late father, never the officer, but just an average Joe. The former officer said to Moyers , “that’s the real hero.” Jose Lopez was a eighteen year old machine gunner who that day moved his machine gun several times that fateful day, killing some eighty of the enemy and turning back the counter attack. His company was able to get to a safer and secure position because of his actions. For this Jose Lopez was awarded the Congressional Medal of Honor. Joe Ekins did more that day than most men. Thank god we had such men. If there is definitive evidence proving the Wittmann kill was made by the British and not the Canadians or the Air force, I would dearly like to see it. What little information I have been able to find is contradictory and anecdotal at best.